Xnergy opened its doors in 2001 with D. Jason Davis and Joey Patalano as two of the original partners. The company has evolved from a General Contractor (GC) to an Engineering, Procurement, and Construction (EPC) provider to Construction Management (CM) leader. Since inception, they've facilitated the success of the company and pioneered energy and construction management methods and services that have saved millions of kilowatt-hours and dollars. In 2017, they re-branded Xnergy and continue to offer traditional construction management services and EPC services for any scope of work. We specialize in complex projects encompassing multiple trades and disciplines such as electrical, HVAC, process piping, and associated engineering. We know that finding the right construction management firm to represent you is a choice not to be taken lightly. That’s why we offer free consultations to walk you through your needs, the scope of your goals, and your budget. D. Jason Davis is the President and CEO of Xnergy. 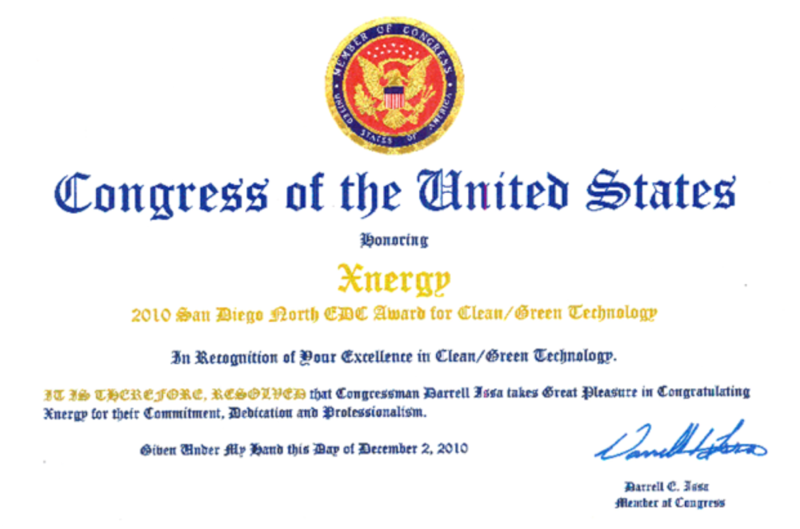 Xnergy is the award-winning engineering, construction, and alternative energy market leader based in Southern California, which he co-founded in 2001. Xnergy specialized in two markets; cGMP & Critical Facility design and construction and alternative energy. Mr. Davis' expertise is in oversight and directly managing complex, multi-million dollar projects that suit the needs of corporations, public agencies, and other organizations seeking customized ways to use energy and space efficiently. Simply put, he oversees design development, pre-construction services, and day-to-day operations, bringing his engineering background to bear on his work while gaining a nuanced understanding through extensive client interaction of how and why companies make the decision to expand or go green-- or not. He has the unique blend of field construction experience, design & engineering experience, and business experience. Over the past two decades, Jason has guided some of the biggest players in biotech, pharmaceutical, high technology, and other markets in their design & construction efforts. Some of his most notable projects include John Wayne Airport CHP, Cox Communications' (both fuel cell projects), Guidant Corporation, Abbott Labs, Pfizer, Johnson & Johnson (Neutrogena and Advanced Sterilization Products), The Salk Institute, San Diego Zoo Polar Bear Plunge Exhibit, Boston Scientific IVT, Medtronic (design/build heart valve manufacturing facility), Gemological Institute of America (design/build central plant expansion & Rare Books Room), and the Baxter heart valve manufacturing facility. As Xnergy’s Leader, Mr. Davis drove sales from $0.00 to nearly $100M in backlog and work-in-progress in just the first 5 years; making Xnergy one of the Fastest Growing Companies (Inc. 5000 and SD Business Journal). He implemented sales and operational strategies including multi-divisional plans. With over 300 employees in multiple offices and states, Mr. Davis successfully directed the company to consistent profitable years. Mr. Patalano is the co-founder of Xnergy. He has responsibilities that include business development, compliance quality control and all field labor. Mr. Patalano was born and raised in a hard working middle class family in the Bronx New York. In 1983 at age 18 he joined Plumbers Union Local #2. At 23 he became a skilled Journeyman working many high rise projects in Manhattan. In 1991 Mr. Patalano moved to the west coast and worked as a plumber in the life science industry. Mr. Patalano’s approach to business development is very simple; honesty and integrity. Our customers like doing business with Joey because they know he will do what it takes to get the job done right. Just some of his most notable projects include, Seven World Trade Center, Trump Towers, Guidant Corporation, Prometheus Labs, Pfizer Stability Chambers, The Salk Institute, TSRI, Quidel, Boston Scientific IVT, Alpha Therapeutics cGMP product mixing, Gemological Institute of America design/build central plant expansion & Rare Books Room, Abbott Vascular. "My parents instilled in me the honesty and integrity it takes to run a successful business." We are proud to be an associated company (Sister Company) with GCG where we tackle the needs of our Government (Federal & State).